Currently, a total of 19 Democratic politicians have announced their candidacy in the 2020 presidential elections, while among Republicans only President Donald Trump and ex-Governor of Massachusetts Bill Weld have announced that they will run. In the wake of the US decision to unilaterally withdraw from the Intermediate-Range Nuclear Forces (INF) Treaty over Russia’s alleged violations, NATO allies immediately voiced support for the move. 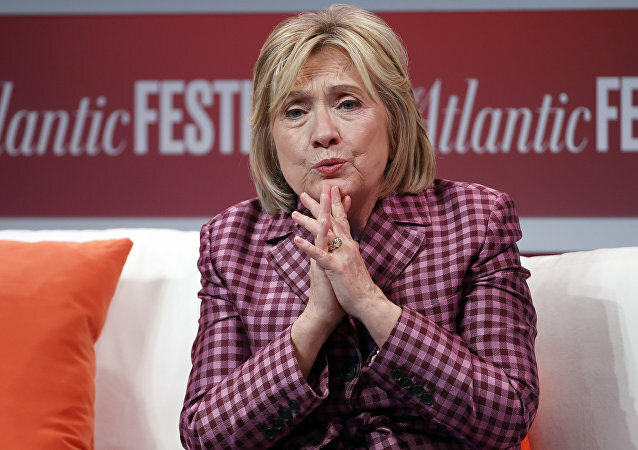 The former 2016 Democratic nominee who lost to Donald Trump is still thinking about giving it another shot. 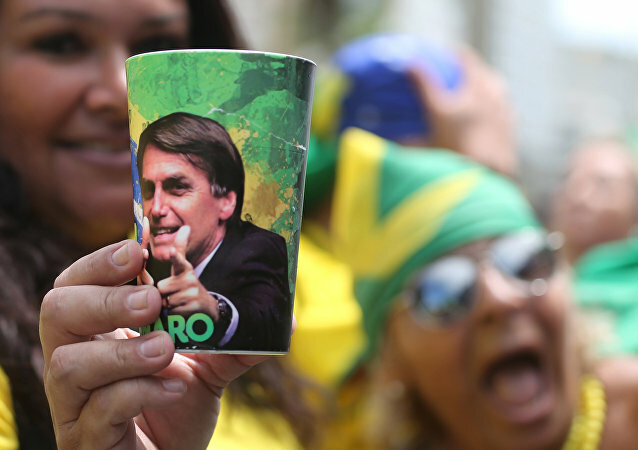 Facebook shut down 68 pages and 43 accounts that were reportedly being used to promote support for Brazil’s right-wing presidential candidate Jair Bolsonaro in the upcoming elections. Fulton Armstrong, a professor at American University, shared his comments on the matter with Sputnik. 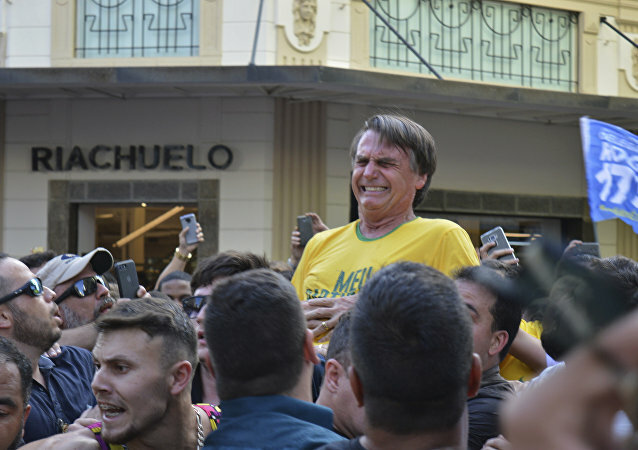 Right-wing Brazilian presidential candidate Jair Bolsonaro was stabbed in the abdomen during a parade in the city of Juiz de Fora Thursday. Surgeons told the press that he had suffered a deep stab wound that endangered his life, but that they had "successfully" performed an operation on him after the attack, according to Bolsonaro's running mate. The move to exclude McCain’s former running mate from the list of invitees is thought to have originated “in the family,” with Cindy, McCain’s wife, reportedly set to “protect” the legacy of the senator, who passed away on Saturday following a year of battle with brain cancer. MOSCOW (Sputnik) - The Turkish presidential election is likely to have two rounds and may result in the re-election of incumbent President Recep Tayyip Erdogan, experts told Sputnik. 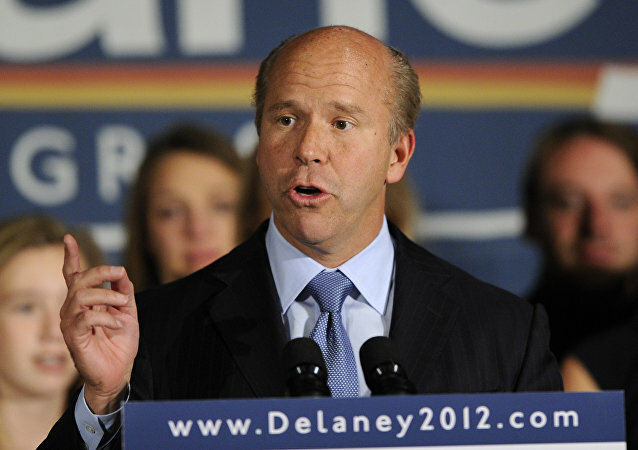 Even though the next presidential election is still a couple of years away, John Delaney, a Democratic Maryland congressman, has already established a campaign office in Des Moines, hired staff and spent over $1 million on TV advertising in Iowa, in preparation for the 2020 US presidential election. The Chinese National People’s Congress has voted for an amendment to the constitution that abolishes presidential term limits. The step may mean that President Xi Jinping might remain in office for life. Sputnik discussed this with Kerry Brown, professor of Chinese Studies and director of the Lau China Institute at King's College, London. MOSCOW (Sputnik) - The Swiss authorities informed the Russian Central Election Commission (CEC) that Russia's Communist Party (CPRF) presidential candidate Pavel Grudinin had 13 accounts in a Swiss bank as of the end of 2017, CEC member Alexander Kinev said Monday. Sputnik presents the candidates of the 2018 Russian Presidential Elections, their bios and positions on domestic and foreign policy. 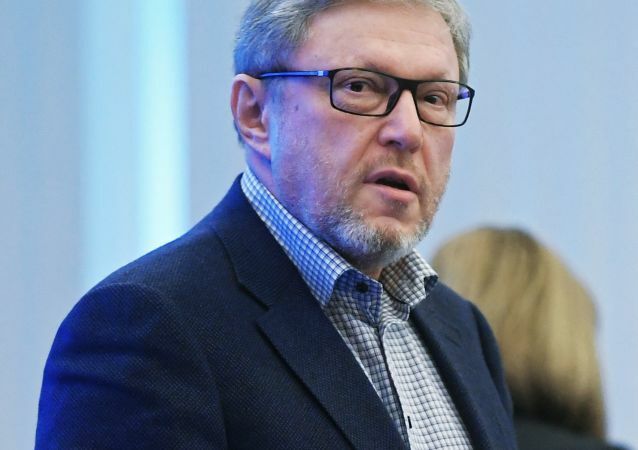 Meet Grigory Yavlinsky, candidate for Yabloko party. Sputnik presents the candidates of the 2018 Russian Presidential Elections, their bios and positions on domestic and foreign policy. Meet Boris Titov, candidate for the Party of Growth. Sputnik presents the candidates of the 2018 Russian Presidential Elections, their bios and positions on domestic and foreign policy. Meet Maxim Suraykin, candidate for the Communists of Russia party. Sputnik presents the candidates of the 2018 Russian Presidential Elections, their bios and positions on domestic and foreign policy. 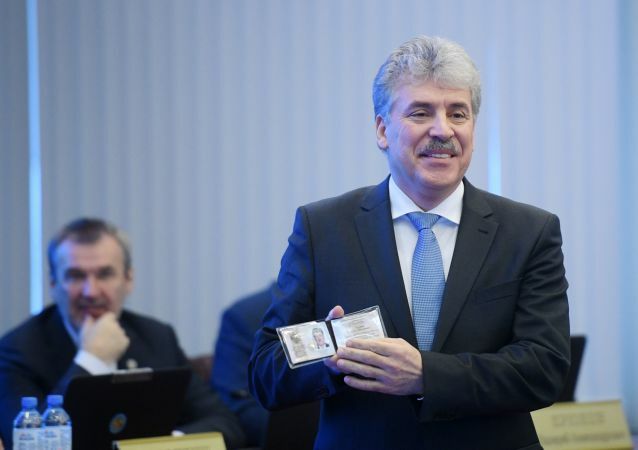 Meet Pavel Grudinin, candidate for the Communist Party of the Russian Federation. Sputnik presents the candidates of the 2018 Russian Presidential Elections, their bios and positions on domestic and foreign policy. Meet Vladimir Putin, the independent candidate. Sputnik presents the candidates of the 2018 Russian Presidential Elections, their bios and positions on domestic and foreign policy. Meet Ksenia Sobchak, the only female candidate. Sputnik presents the candidates of the 2018 Russian Presidential Elections, their bios and positions on domestic and foreign policy. Meet Sergei Baburin, candidate for the Russian All-People's Union. Sputnik presents the candidates of the 2018 Russian Presidential Elections, their bios and positions on domestic and foreign policy. 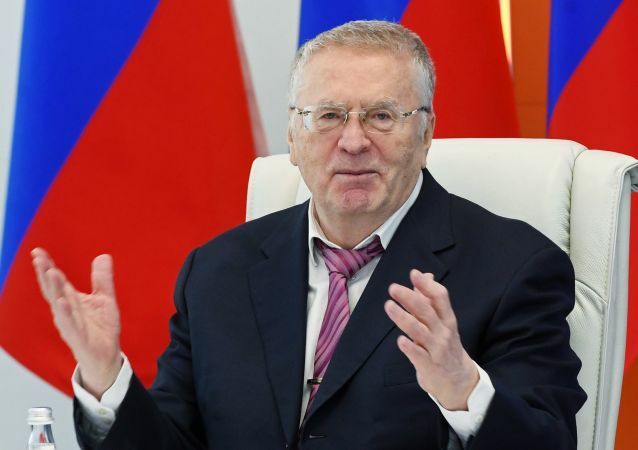 Meet Vladimir Zhirinovsky, candidate for the Liberal Democratic Party of Russia. MADRID (Sputnik) - The Spanish authorities are set to appeal the nomination of Carles Puigdemont, who is currently residing in Belgium, as a candidate for president of Catalonia, to the country's Constitutional Court, Spanish Deputy Prime Minister Soraya Saenz de Santamaria said Thursday. Former Trump strategist and noted political loose cannon Steve Bannon has suggested wealthy businessman Mark Cuban to run for the US presidency in 2020 as a Democrat.